For more than two decades, Gothenburg’s Dark Tranquillity has been refining and reinventing the melodic death metal sound that they helped pioneer. 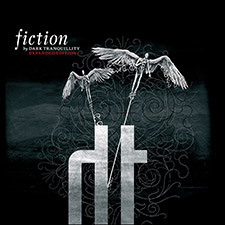 Long out of print and highly sought after on vinyl, Think Fast is releasing an updated pressing of Dark Tranquillity’s stellar 2007 album, Fiction. The package includes a bonus 7″ featuring Fiction’s expanded edition bonus tracks – never been released on vinyl. Look for the release on Record Store Day 2016. Under exclusive license from Century Media.